Texas Governor Rick Perry gave Vought, a Carlyle Group affiliate, $35 million for fifteen years. Ten years later it's unclear if Vought provided even one additional new job. Governor Perry's job number is fanciful and the recent audit gives no overall job number. 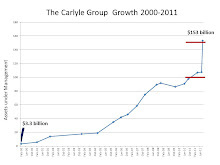 In 2010 Carlyle sold Vought for $1.44 billion but not one penny was returned to Texas taxpayers. Emanuel’s administration has for weeks blocked the release of correspondence between his administration and one of the Democratic mayor’s top donors, Michael Sacks. The administration has also refused to release details about tens of millions of dollars in shadowy no-bid city payments to some of Emanuel's largest campaign contributors. ...firms that have received tens of millions of dollars' worth of shadowy “direct voucher payments” (DVPs) from the Emanuel administration have given more than $775,000 worth of campaign contributions to the mayor’s political organizations. No application, no contract and no accountability. 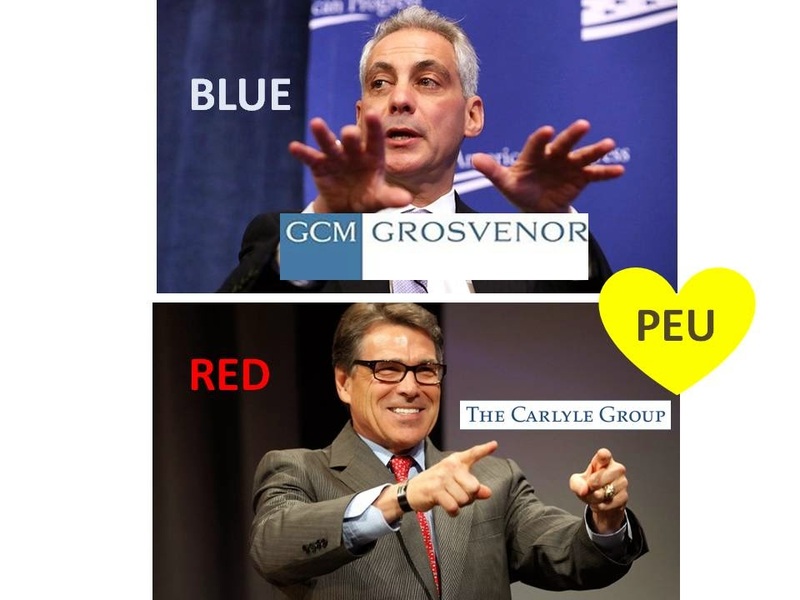 It's our PEU world , where politicians Red and Blue love PEU.